G L O B A L H E A D Q U A R T E R S Pittsburgh, PA USA • (412) 963-9071 • www.jennmar.com • Coal and Hard Rock Mining • Tunneling • Civil Construction Trust JENNMAR. 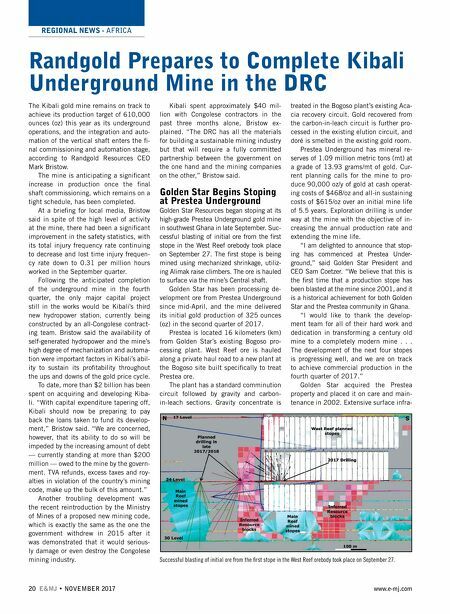 For more than 40 years, miners have trusted JENNMAR to deliver superior ground support products and innovative solutions to challenging strata conditions. From bolts and beams to channels and trusses to resin and rebar, we're proud to make the products that make mining safer and more effi cient. 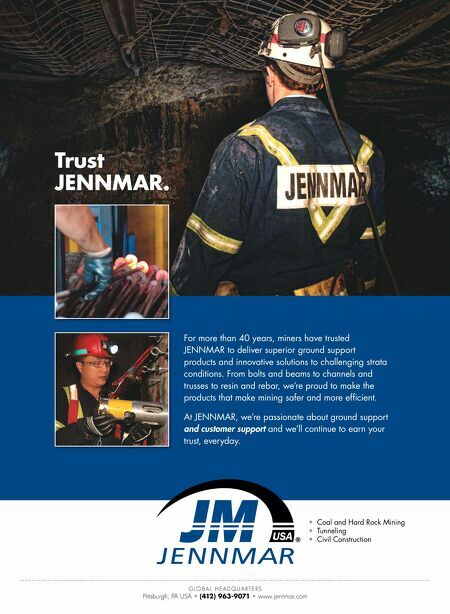 At JENNMAR, we're passionate about ground support and customer support and we'll continue to earn your trust, everyday.